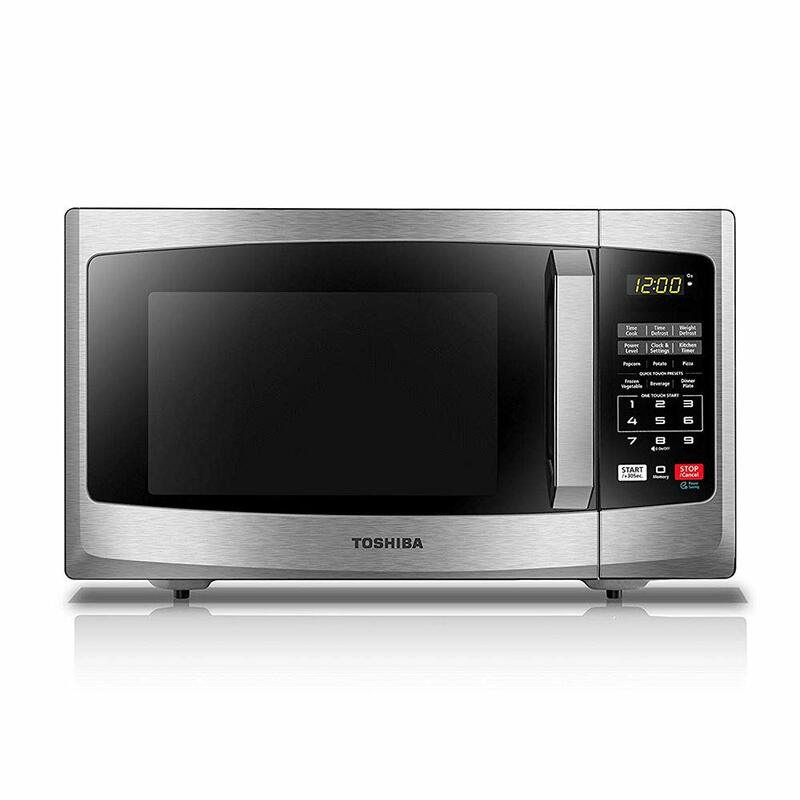 If you are looking for a compact size microwave oven then you can check Toshiba EM925A5A-SS 0.9 cu. ft. Microwave Oven. This is a compact microwave oven measuring 19.2 by 15.9 by 11.5 inches. The 0.9 cu. ft. interior capacity of this Toshiba microwave oven comes with 10.6 inch diameter turntable. The cavity measurement is 12.36 X 13.66 X 8.7 inches. This is a 900-watt Toshiba microwave oven that comes with 10 power settings and a bunch of advanced features such as kitchen timer, defrost by time or weight and the rated voltage is 120V. Further, the Toshiba microwave oven comes with one touch start to use 6 automatic functions such as potato, frozen vegetable, popcorn, beverage, and pizza and dinner plate. This is an advanced and highly performative microwave oven that is highly rated on Amazon.com and other shopping websites. Other important features of Toshiba EM925A5A-SS 0.9 cu. ft. Microwave Oven are power saving mode, child safety lock and sound on/off option. Toshiba EM925A5A-SS 0.9 cu. ft. Microwave Oven comes with 6 preset recipes. You don’t have to use guesswork for commonly microwaved foods. You just need to press one of the pre-programmed buttons and the microwave automatically adjust for six different foods. You are allowed to choose from potato, popcorn, frozen vegetables, pizza, dinner plate and beverages.